See all the Smashing articles in our PWA category. 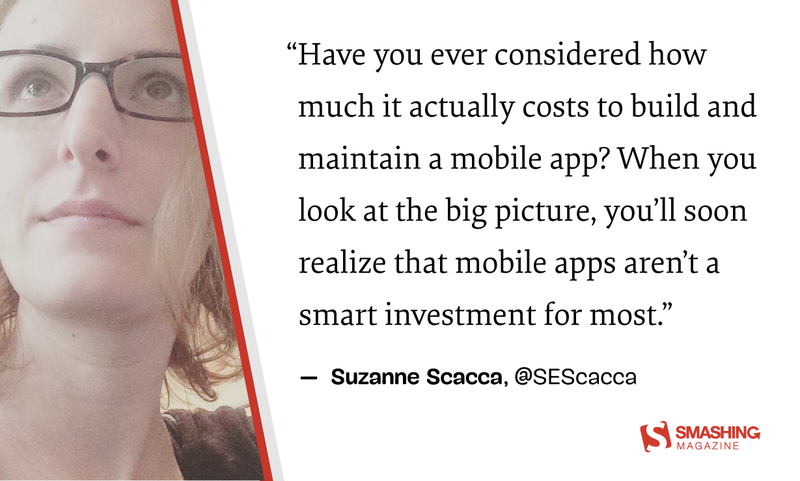 March 8, 2019 — Have you ever considered how much it actually costs to build and maintain a mobile app? When you look at the big picture, you’ll soon realize that mobile apps aren’t a smart investment for most.